VIDA is a catalog of parts with a variety of instructions and manuals. Also, diagnostics, maintenance and adjustment of some parameters will be available using DiCE . Below is a small example of working with VIDA 2014D and Volvo DiCE , and also described TWO ways of installing TWO variants (original and repack) of VIDA on Windows 10 (also installed on Windows 8.1). Additionally, added options for solving common problems with / after installation and some useful settings. Volvo VIDA 2014D is the last (not the last) file version of VIDA available locally, i.e. installed and running on a separate PC. Accordingly, available to a simple user. Since the beginning of 2015, the program is only online! Start, enter 4 to enter the EUR region. The Diagnostics section, the Details tab. The Diagnostics section, the Network tab. The Diagnostics section, the Troubleshooting tab. The existing CEM module error. The window with the expanded information by mistake and recommendations on elimination. The existing error is nothing more than the LED license plate lights that I have installed. So, while these lamps are standing – there will be a fault, it does not lead to the device and it makes no sense to erase at the moment. The Diagnostics section, the Reference tab. -This instruction for installing VIDA 2014D from an .iso image (or from a folder) on a PC with Windows 10x86-x64 of all versions and versions (as of 08.10.2016). Suitable for Windows 8 of all versions and versions. -If you have an image without the Russian language (and it is needed) – unpack the image by any archiver into a folder (for example VIDA2014D), download the archive at the end of the post , create the folder ru-RU in VIDA2014D \ DB , put the downloaded archive servicerep_ru-RU.zip into it , you can start the installation. -If the PC has 2GB of RAM, 20GB of hard disk space (3GB and 30GB for 2014D) and less, you need to unpack the image and make the appropriate changes to the file \ VIDA2014D \ Install \ DVD \ Vida_dvdheader \ Compinfo.ini , in the lines Win7MinValue = write 512 , in Win7 Recommend = write 5,000,000 (or erase one digit at the end), save. -If the PC is shaken by unsuccessful attempts to install different versions of VIDA – it is necessary to prepare for the new installation, clean up the OS (uninstall the components VIDA, SQL, remove the remaining folders, remove the remaining keys in the registry). There is nothing to install additionally, except as specified in this manual. Also, there is NO need to disable / stop any of the default components in Windows 10 (defender, firewall, etc.). In the Windows Components window , note .NET Framework 3.5 , then OK , the .NET Framework 3.5will be loaded and installed , you may need to restart. If already installed, go to the next step. b) Insert the image into the virtual drive (in Windows 10 it is present by default) by double clicking on VIDA2014D.iso . Open the explorer folder with the image. Before finishing the installation DO NOT close the cmd window , we need it twice. 2 . Install and configure Microsoft SQL Server 2008 R2 . The default browser with the report will open. Look – there are two lines in the table (at the end of No, it should be), close the SQL Server Installation Center . 3 . Installation of VIDA 2014D . Choose only ONE language (install TWO languages ​​and switch them you can – see Method 2 ). Choose the installation path. It is recommended to leave it as default. Installation takes a long time. You can control in the Task Manager by the activity of the alba process . At the end of the installation, icons appear on the desktop. Select in the pop-up window Internet , then Save , then Close , and again Close . Close the cmd window . 4 . Treatment and first run. Run 2014A-BD.exe from the administrator. If you changed the default VIDA installation path, change only the LETTER drive in the opened window (if you installed it to the root of another disk / partition). Select Install , VIDA Monitor should start after that , after some time its icon in the tray should have a green arrow instead of a yellow arrow. In the pop-up window of the regular firewall, select Allow access for Java. Start VIDA with the VIDA All-in-One icon on the desktop (or in the Start menu, or right-click on the VIDA Monitor icon in the tray). If Internet Explorer prompts you to select and enable add-ins, enable it. Enter in the fieldUsername : 4 for Europe region (others – 1, 2, 3). Wait for IsoView to load . Click the Vehicle Profile tab , enter the VIN code. There should be a car. If Write Access is denied – check and enter the VIN code manually (NOT through copy / paste). Disable VIDA eUpdate in the Task Manager on the Startup tab , the Java ™ Platform SE binary line . You can also disable VIDA Monitor from startup and run it as needed from the shortcut to Start – VIDA . Adobe Reader XI, which was installed with VIDA, can be deleted (if you use another application for pdf or not needed). * If the server does not start – after a while on the icon appears red “?”, The fault is the update KB3163018or 1607 AU . Download the archive with the folder jdk , unload VIDA Monitor, delete the folder jdk from C: \ VIDA , unpack downloaded to C: \ VIDA , then reboot the PC. Archive with the necessary, to solve this problem, you can download at the end of the post. * If the Username field is NOT active– the tablet did not work, apply again (after unloading the VIDA Monitor ) carefully following all the conditions, then restart the PC. Another option is to unpack the contents of 2014A-BD.exe into C: \ VIDA by agreeing to the replacement. Start from the administrator C: \ VIDA \ patch \ filldb.cmd (previously unloading the VIDA Monitor ). – At the bottom of the post there is a link to the resource where you can download the ready version with the adaptation to the extreme update of Windows 10 and the ability to use two languages ​​- Russian and English. Contains an easy way to install with cmd files (nothing needs to be entered manually). Everything necessary for installation and normal operation on Windows 10 is already in the image. If after starting, in the field “Communication tool” – a cross , you must run the reg.file from \ Install \ Utilson the image / disk with VIDA EnableIEHostingx86.reg or EnableIEHostingx64.reg (for x64 OS). IE must be closed! Archive with the necessary files, to solve this problem, you can download at the end of the post. 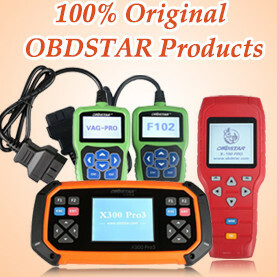 – Connect the device to the OBD connector of the car (or supply it with power 5-12 V / 1-2 A suitable BP, dais does not get power via USB!). – Connect it to the USB connector of the PC. – Wait for the device to be installed in Windows. – Start VIDA, make sure that DiCE is installed in the “Communication tool” field. If you want to use DiCE on bluetooth (first necessarily connect via USB! ), Run (corresponding to the bit depth of the OS) reg.file and search / add devices WT to the OS. The manual with the necessary reg.file for connection on bluetooth and driver for using DiCE without VIDA can be downloaded at the end of the post. To check the device, use the regular DiCE Diagnostic utility in – Start – All applications – DiCE . When a disc / image EWD no folder Rus – copy the contents from, for example, US_Eng , in diagrams and in “English” everything is clear Copy it to the Rus folder , if VIDA is in Russian (if there is no such folder, create it). After restarting VIDA Monitor. Are in the Information – Troubleshooting – Wiring diagrams . – At the bottom of the post there is a link to the resource where you can download EWD . Then run VIDA Monitor (or restart the PC). On another PC, you need to install the accompanying software – IsoView and the DiCE driver (if needed there). From this PC (in the local network, VPN, etc.) in IE, enter the address of the PC with VIDA – * IP of the computer * / Vida (for example 192.168.1.25/Vida) or create a shortcut with the object “C:computer * / Vida. All profiles are deleted! Separately, there is no way to delete. After, it is necessary to apply the tablet again . Can Volvo VIDA be loaded on Windows tablet? This entry was posted in Car diagnostic tool and tagged Volvo diagnostic tool, volvo dice, volvo vida, volvo vida dice on December 1, 2017 by obd365.